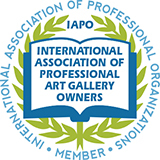 The IAPO International Association of Professional Art Gallery Owners is a membership association created to provide education and business development services for people working as, or studying to become, a professional art gallery owner. 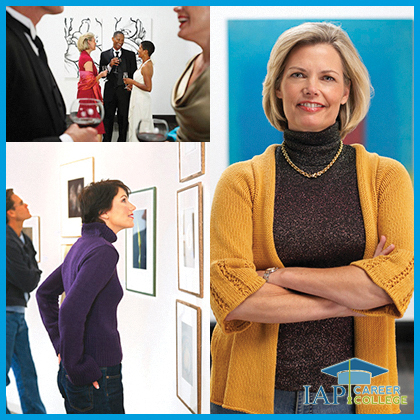 Discounts on Art Gallery Owner Certificate Courses with IAP Career College. A newsletter with practical advice to help you achieve greater success in your career. A listing in the professional directory to help promote you and your business to prospective clients and customers. Additional discounts on hundreds of products and services for both business and pleasure including: restaurants, hotels, computers, movie tickets, books, flowers, cell phones, gifts and much more from popular companies such as Dell, Target, Sears, Disney, FabJob, Toyota, Sprint, and many more in the U.S., with some discounts available in other countries. Specific offers have expiry dates and vary by location. Plus, when you become a member, you may display the seal of membership of the IAPO International Association of Professional Art Gallery Owners on your own website and marketing materials. Click the “JOIN NOW” button below. Complete the registration information on the Checkout page then click “CHECK OUT”. After your year as a Student Member has ended, you will be given the choice of whether or not you want to continue as a Professional Member. If you are currently working in the profession, or a related field, you may join as a Professional Member. The membership fee for Professional Members is $4.99 U.S. per month or $49 U.S. per year. Your membership will renew automatically, and you can cancel at any time. You may cancel your membership at any time by emailing iapcollege@fabjob.com or phoning 1-888-322-5621 (toll-free in North America) or 1-778-383-9772 (call from anywhere in the world). How can you benefit with a certificate from the International Association of Professions Career College (IAP Career College)? With the International Association of Professions Career College, you can earn a certificate online more quickly and affordably than many other educational options. 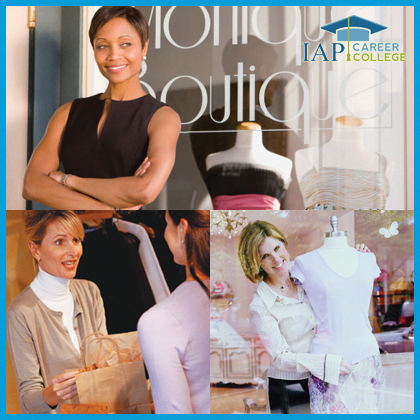 Why Choose IAP Career College? The International Association of Professions Career College aims to offer the finest in affordable online certificate programs for dream careers. The textbooks for all courses are from FabJob Inc., the leading online publisher of career guide books on how to get started in a dream career, with an A+ rating from the Better Business Bureau. FabJob guides have been used as textbooks for more than a decade, and you can find them in the career centers and library collections of many famed colleges and universities – from the University of Texas to the Fashion Institute of Technology – as well as in numerous public libraries in cities from Vancouver to New York. It can cost hundreds, or even thousands, of dollars to take other certificate programs. When we discovered online courses based on old editions of our career guides costing over $1,000, we knew it was time to offer our own online certificate programs. Now, the founders of FabJob, the leader in online career guides for dream careers, along with a team of respected academics, have created online certificate programs, allowing you to study and earn a certificate from the comfort of your own home. Established online in 1999, the parent company of IAP Career College is an award-winning organization named “the #1 place to get published online” by Writer’s Digest. Our company and career guides have been featured in media ranging from ABC to Oprah’s newsletter and respected news sites ranging from CNN to the Wall Street Journal online. We continue this tradition of excellence in online career education with the International Association of Professions Career College. Each of our career certificate programs has been developed to meet high academic standards, ensuring that as a graduate you can display with pride the certificate you will earn from the International Association of Professions Career College. We invite you to learn more about the online certificate courses we offer you by visiting our Certificate Courses page. We are also happy to answer any of your questions to help you decide whether an online certificate course from the International Association of Professions Career College is right for you. You can contact an Academic Advisor by email at iapcollege@fabjob.com or phone 1-888-322-5621 toll-free in North America or call 1-778-383-9772 from anywhere in the world. 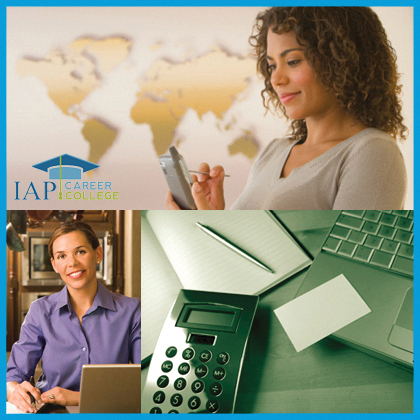 IAP Career College, also known as the International Association of Professions Career College, is a private online career college affiliated with FabJob Inc, the leading online publisher of guide books on how to get started in a dream career, serving hundreds of thousands of career changers on six continents since 1999. Learn more about us. © 1999-2019 IAP Career College. All Rights Reserved.